UPDATE 3: Banner systems back online as of approximately 3:00PM. ITS still investigating issue with Main Campus WIFI. Buildings affected include DLS, MEM, and MGL. UPDATE 2: Power restored to Horan Hall equipment and network services back online as of approximately 2:30PM. Some services sill offline including Banner and Main Campus WIFI. UPDATE 1: The power issue in Horan has been corrected and systems are coming back online. An update will be sent once systems are confirmed online. 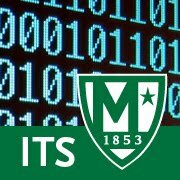 ITS is investigating a major network outage originating in Horan Hall. Currently many JasperNet services are affected including Banner and Self-Service. Services such as Gmail and Moodle remain unaffected. An update will be posted by 2PM.